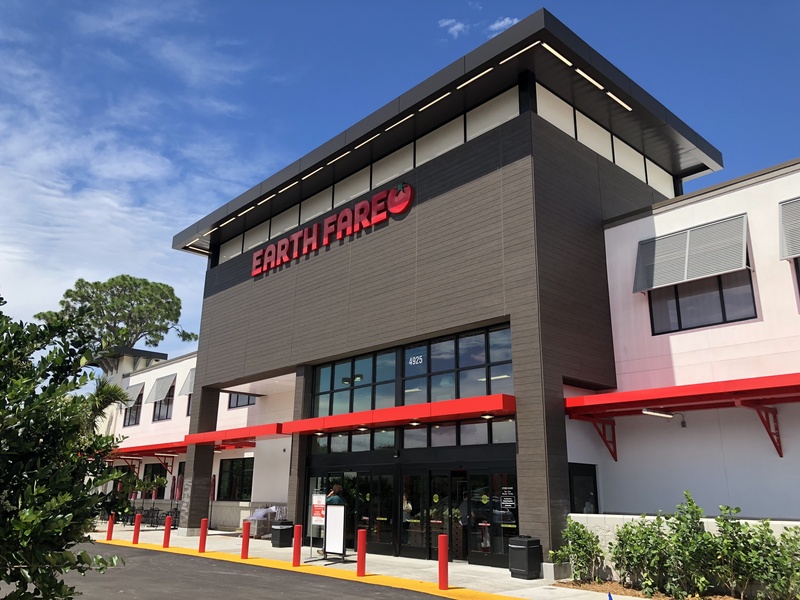 EarthFare comes to Palm Beach Gardens! Earthfare is opening in Palm Beach Gardens! We caught a sneak peek at the Preview Party and are so excited to welcome them to Palm Beach County. Located just west of Midtown on PGA Blvd, the North Carolina-based supermarket is dedicated to providing organic and healthful foods and products. The store marks their 9th location in Florida and 44th in the country. The Grand Opening week will host a number of giveaways, events and demonstrations May 30th – June 3rd. The first EarthFare store was opened in Asheville, NC in 1975. Back then it was called “Dinner for the Earth” and was a smaller natural food store. Since then they have become EarthFare and set standards throughout their stores, products and offerings. From their Boot List for ingredients to energy efficiency to bulk offerings, their mission is clear. Earthfare’s goal is to create an atmosphere where shoppers can purchase any item in their store without having to read a label to determine if it is good for them and their health. The store itself is brand new, beautiful, brightly lit and well-organized. The perimeter has fresh goods like produce, flowers and meats with the interior stocking rows of groceries, wine and health products. EarthFare strives to keep eating healthy accessible with reasonable pricing and specials. The bulk section houses bins of coffee, nuts, granolas, and even liquid pumps. Their grab and go features an almost store-long case of prepared foods from pizza to sushi and everything in between. There are hot and cold bars for those looking to build their own lunch or dinner while “Heirloom” serves as a juice and coffee bar. Seating is available inside for those looking to enjoy their purchases before heading out. Their food philosophy is simple. Shoppers may visibly notice the difference in departments like the bakery where you won’t see fluorescent frosting colors with reds derived from beets and greens from plants. EarthFare clearly takes great care and pride in selecting the brands and products they carry. There is a nice blend of local products throughout their offerings like Pumphouse Coffee retail bags and Saltwater Brewery 6-packs. They also carry their own line which can be found in almost every department. Come see what everyone is talking about and welcome EarthFare to the neighborhood!